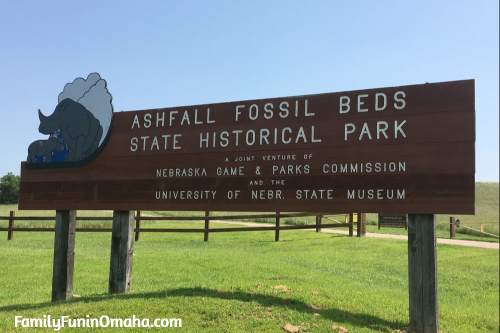 Ashfall Fossil Beds State Historical Park is a fascinating Natural Landmark located right here in Nebraska! 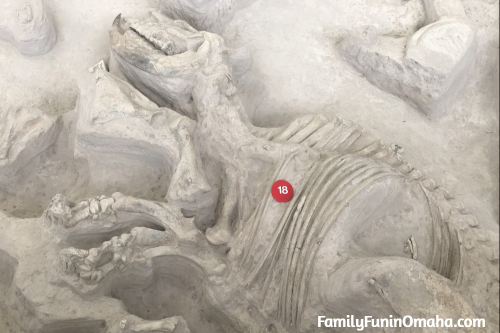 See complete skeletons of barrel-bodied rhinos, three-toed horses, llama-like camels, and sabre-tooth deer that were entombed in volcanic ash 12 million years ago. 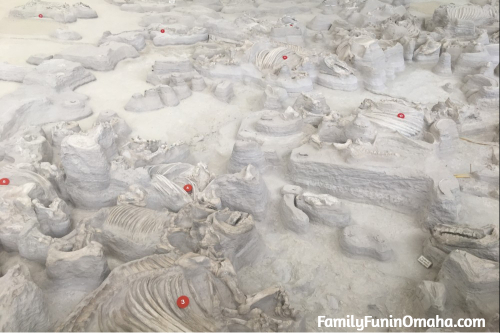 These skeletons are preserved for an amazing viewing and discovery experience! 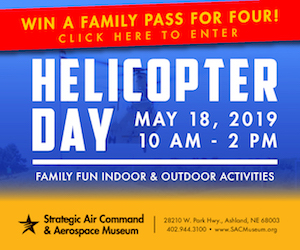 Admission: Entrance Fee per person plus a valid Nebraska Park Entry Permit is required. 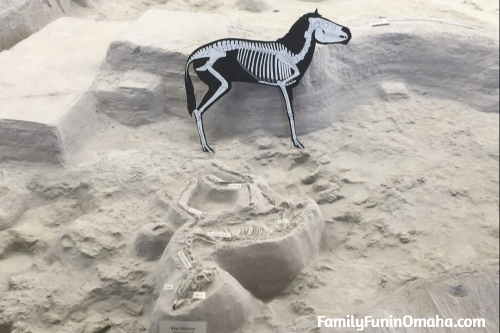 Begin your visit in the Visitor Center, learning about the history of the Ashfall Fossil Beds. 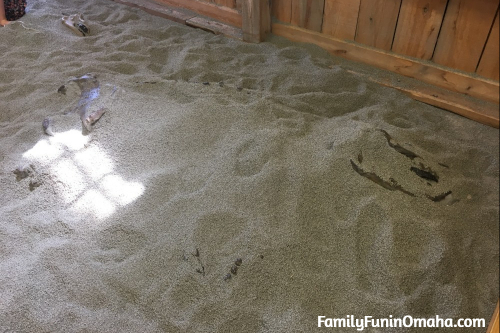 Enjoy interpretive displays to help offer an overview of what you are going to see in the Rhino Barn. 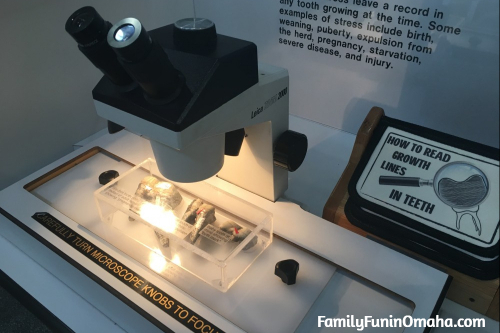 Kids enjoyed looking through the microscopes! 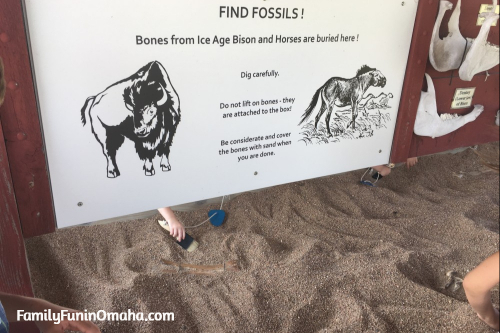 The highlight of your visit to Ashfall Fossil Beds is the ‘Rhino Barn’! 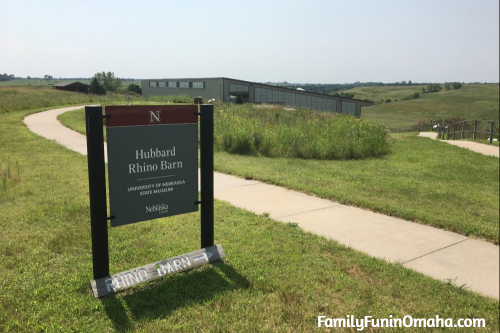 Excavation within this new Rhino Barn started in 2009. 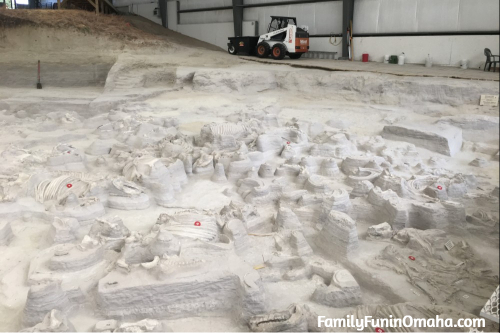 It is divided into sections, with each area slowly excavated. 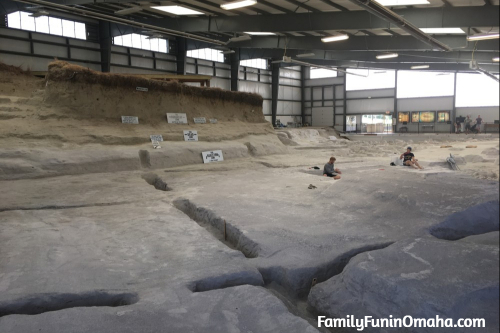 We were told it would take another 14-16 years to complete the excavation in the Rhino Barn! 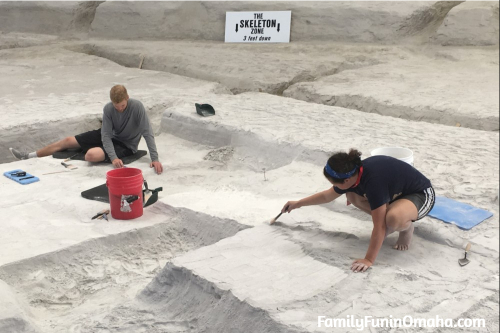 It was fascinating to watch the college students who are studying paleontology work on the excavation. 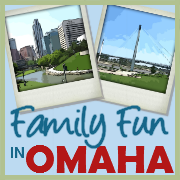 They answered questions, and explained their process. 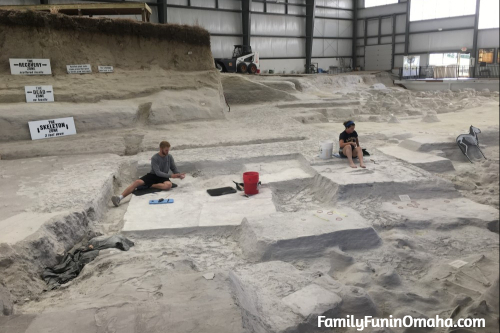 She pointed out that since she is just beginning (it was her first day of excavation! 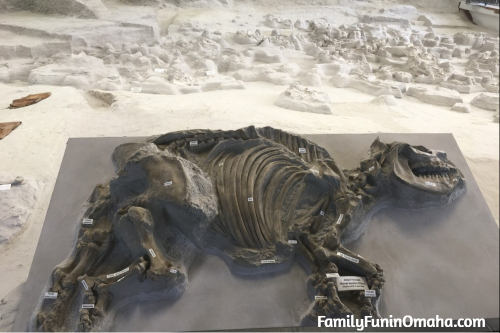 ), that she was at a higher level (less fossils) than her colleague who was at a deeper level (more fossils) since he was nearing the end of his 10-weeks and had more experience. 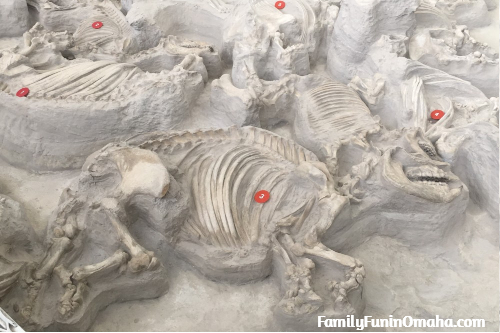 While we were there, he said he found another print of a bone-crushing dog! 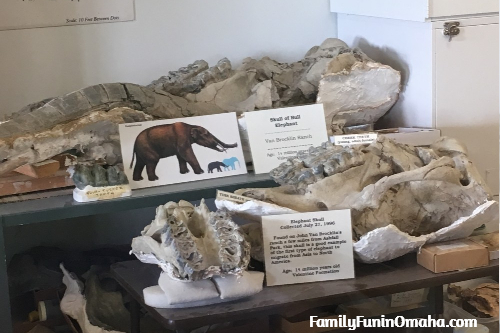 The displays helped visitors understand what they were looking at. 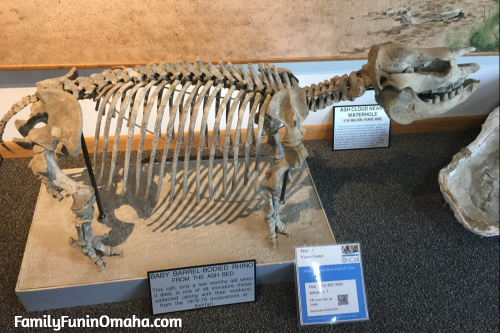 View a variety of skeletons including this Young Adult Male Rhino here. 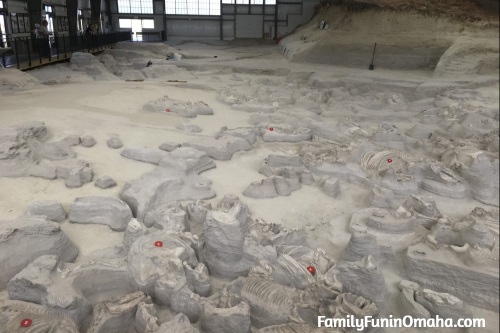 This area has been fully excavated. 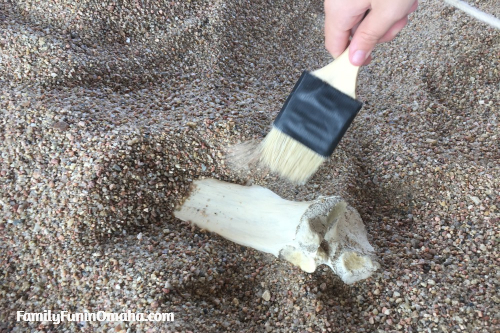 Each of the elevated areas is a fossil or footprint! 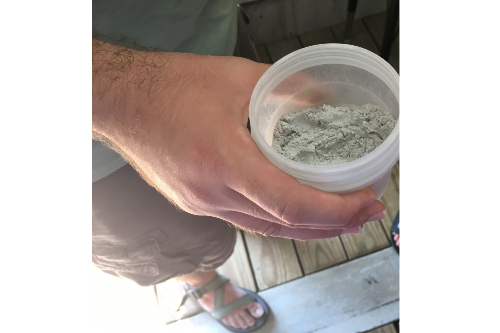 Here we could touch the volcanic ash! 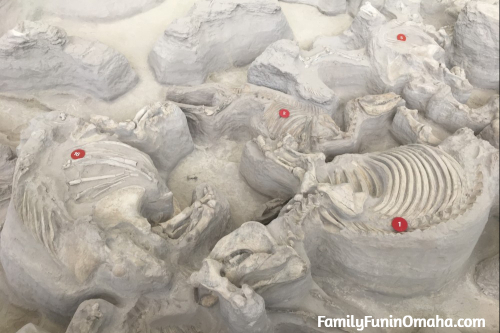 Kids will enjoy digging for fossils in 2 areas! 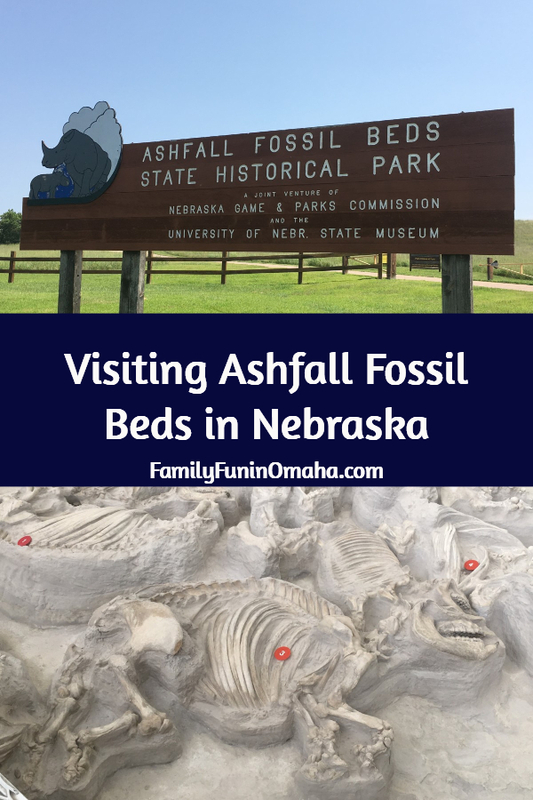 While there, be sure to visit these locations that are near Ashfall Fossil Beds! 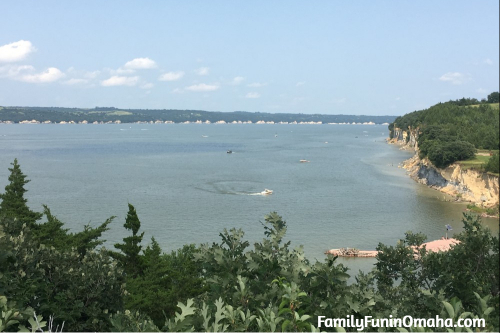 Make it a weekend trip, and visit the beautiful Lewis and Clark lake (about 1.5 hours from Ashfall Fossil Beds), with Yankton, South Dakota, nearby. 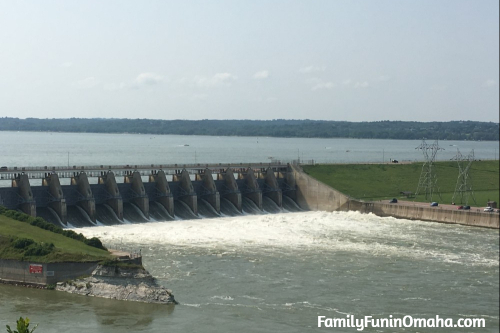 Visit the Gavins Point Dam for picturesque views. Tours are available. 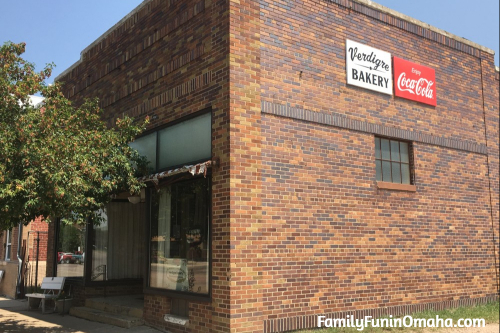 It was recommended to us to be sure to stop at the Verdigre Bakery for a Kolache – it was delicious! 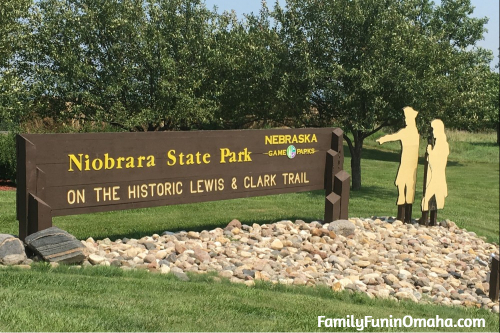 The beautiful Niobrara State Park offers picturesque views and a variety or recreational activities.